Comfort Services, Inc. can help evaluate your home for ways to improve its efficiency and air quality. We will promptly address any issues we find, including the appropriate measures for asbestos removal. 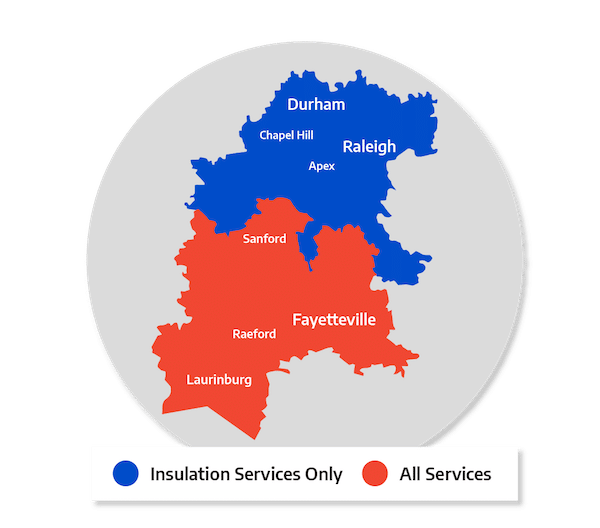 We proudly offer our services in Pinehurst, Southern Pines, Aberdeen, and neighboring areas such as Garner, Apex, Fayetteville, Chapel Hill, Fuquay Varina, Fort Bragg, Durham, and more. Also check out our home energy audit to diagnose your home's energy problems. In most cases, improving a home's energy efficiency also improve the home's health and indoor air quality.